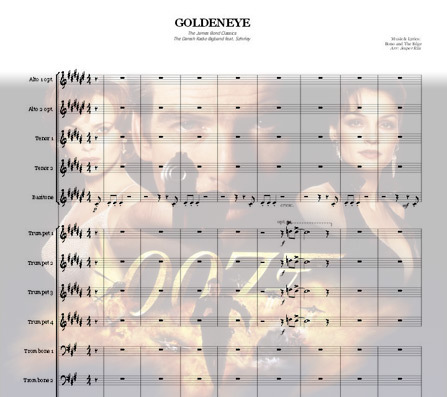 Another 007-chart for bigband and male vocalist. 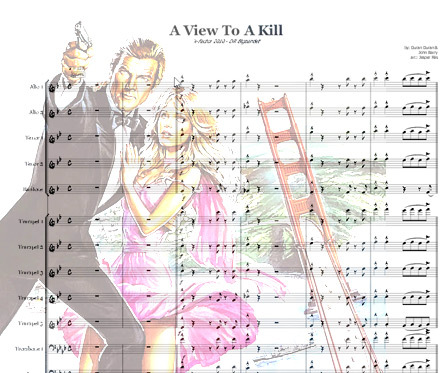 "A view to a kill" in Smooth Bigband arrangement, quite easy to play (lead-trumpetplayer with high range is needed though). 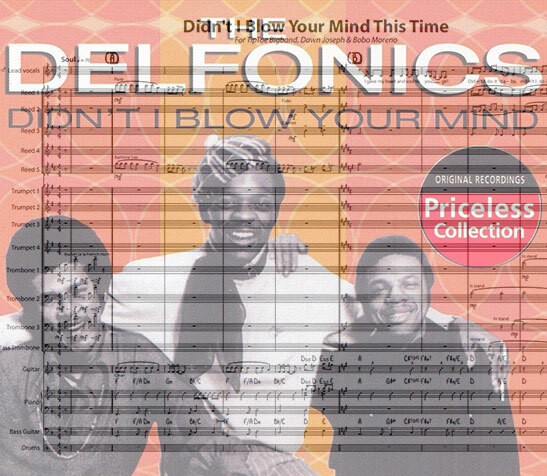 As recorded by Diana Ross/The Supremes with an inserted Solosection. 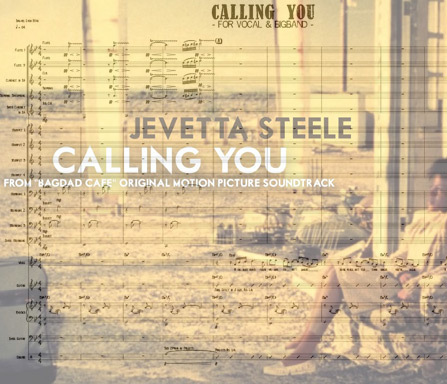 Here available in a nice bigband-arrangement featuring female vocalist. The Nr. 1 hit from the movie "Bagdad Café". 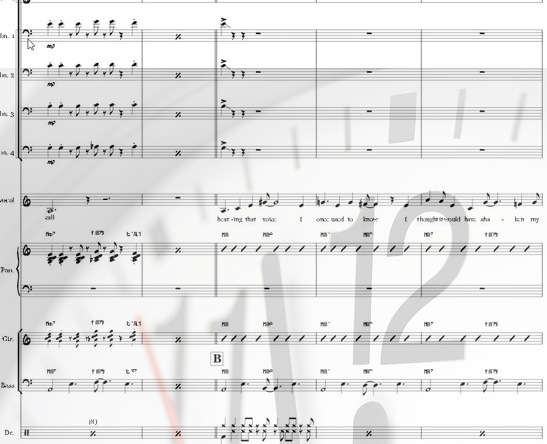 Including a sax-solo and a "bolero-feel" in last part of this Bigband arrangement featuring af Vocal Part. 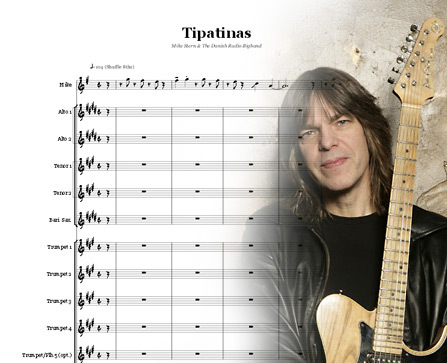 5/4/4/guit/Rhodes/bass/drums Alto 1/Flute, Alto 2/Flute, Tenor 1/Clr., Tenor 2/Soprano, Bari./Bs. Clr. Rickie Lee Jones' all time ever-green. 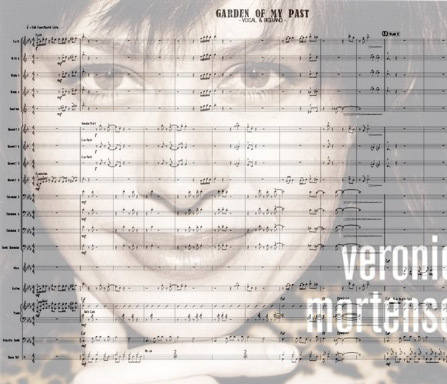 Originally arranged for Veronika Mortensen and Klüvers Bigband. 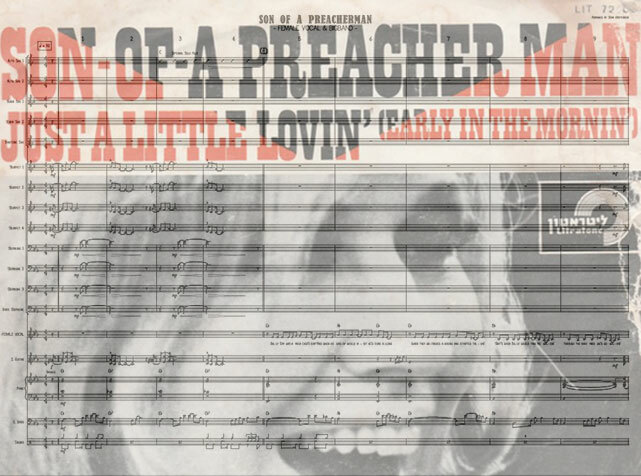 Smooth "easy to be played" big-band-arrangement with a vocal part that fit's almost every bigband. 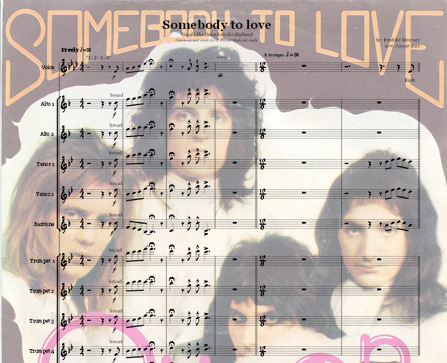 The arrangement has an up-tempo jazz outchorus that is not that easy though. This part could be left out. An optional part for Vibes is included. 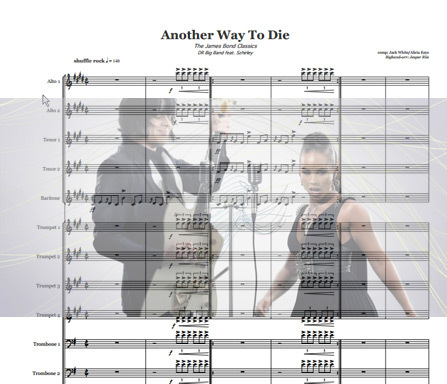 Beyoncé Knowles Mega world-hit arranged for The Danish Radio Bigband for the Danish X-Factor 2009. 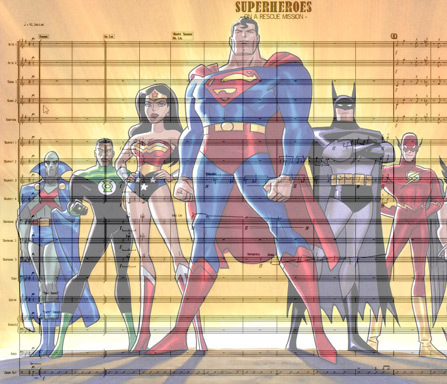 Including an 8-bar ensemble-shout. Rock on! 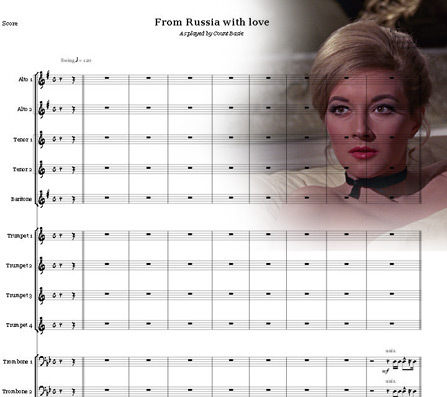 Main title by John Barry and Don Black from the 007 movie released in 1971. 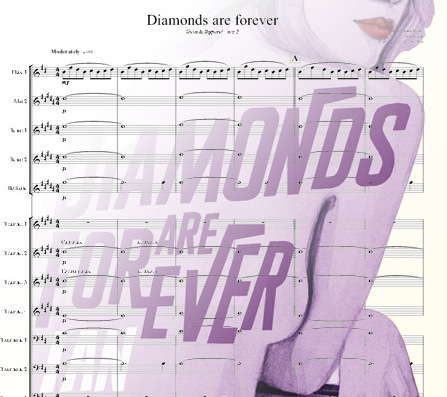 The song was also recorded in italian by Shirley Bassey as "Una Cascata di Diamanti" (Vivo Di Diamanti). 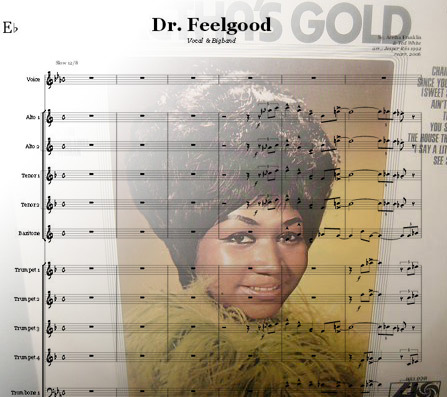 Aretha Franklin's "Dr. Feelgood" in a powerful bigband-setting. 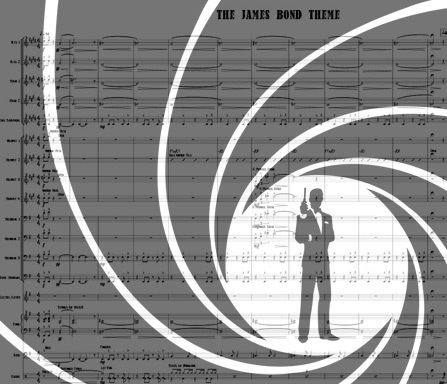 Bond-classic arranged for the Danish Radio Big Band and Szhirley. 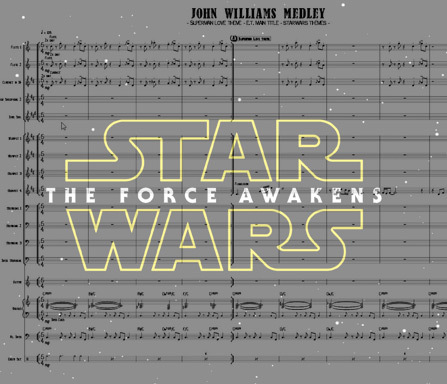 This arrangement is based upon the Propellerheads remix of the original soundtrack featuring Shirley Bassey. Baritone Sax-solo. 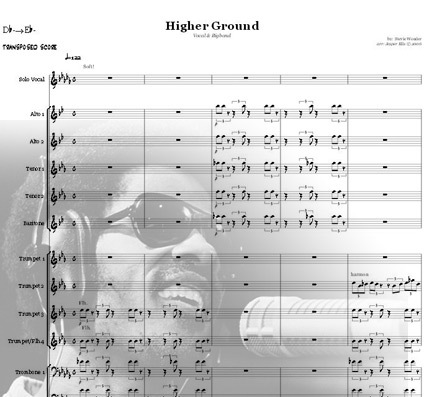 12/8 Stevie Wonder-Power! Tons of action for the whole band. 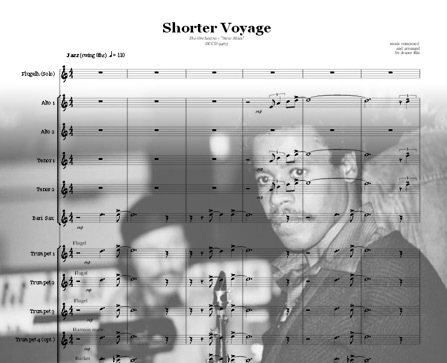 With an up-tempo jazz-section in the middle of the chart. 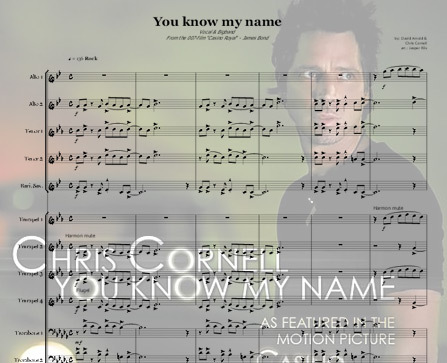 Originally this was a double-bigband arrangement made for Kurt Elling, the BBC Bigband and The Danish Radio Bigband. Solo Vocal (Female) - 5/4/4 - Keyboards, Guitar, Bass, Drums/Perc. 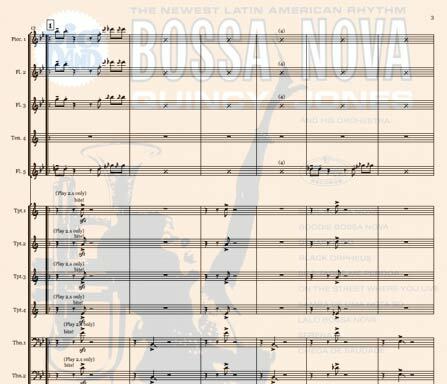 Alicia Keys wonderful 12/8-ballad - in a well sounding/easy to play bigband-arrangement. Alicia Keys made this tune famous all over the world. 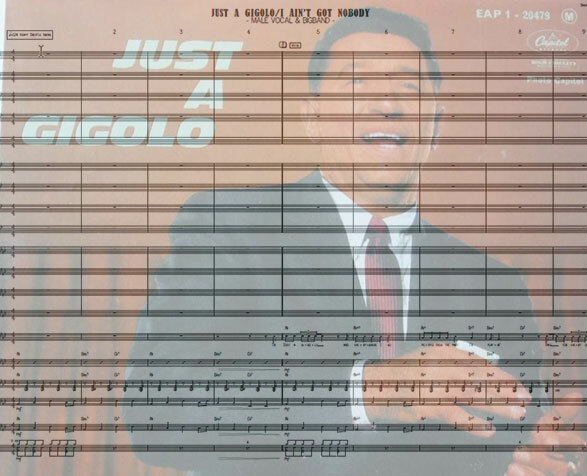 Here you find it in a swinging "easy to make it work perfect" arrangement for your bigband. 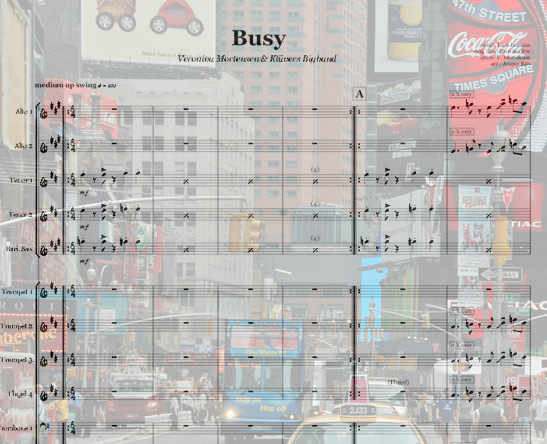 Your vocalist will love it, so go ahead and buy the bigband chart before your neighbour. 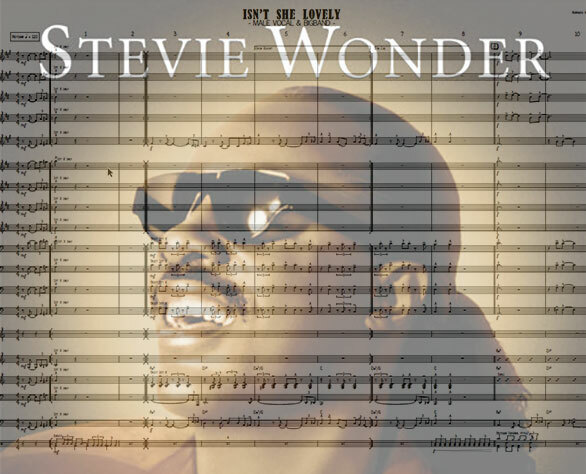 The Stevie Wonder classic transposed to C major. Starting out with the original feel and features the Tenorsax player. 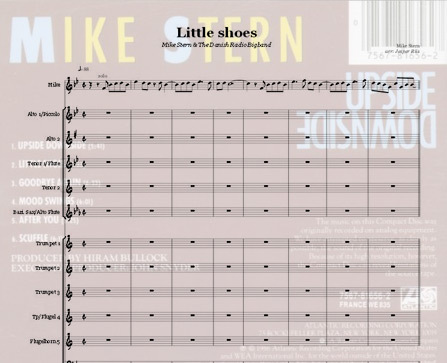 From the Shout Chorus, which is created from Stevie's original solo, it transforms into a classic bigband-shuffle until the end. 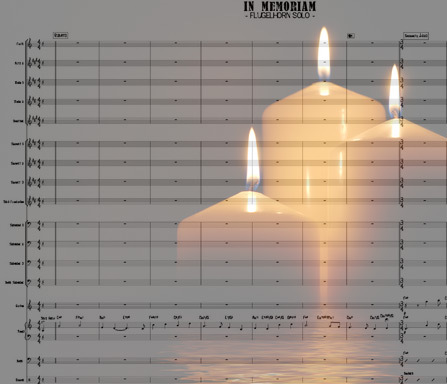 A wonderful and suitable arrangement for the bigband. 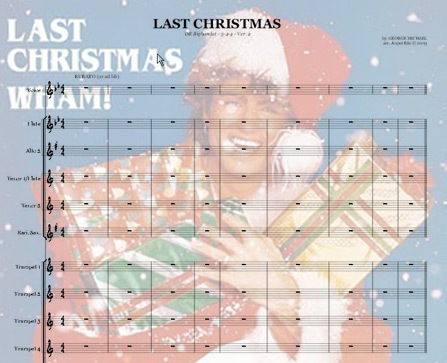 The wonderful christmas hit from the late 50´s - in the style of the Brenda Lee version but with an additional Thad Jones-like softshout-chorus followed by a bass-solo! 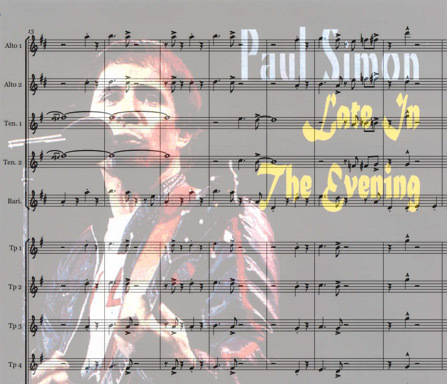 Easy to play instrumental version of the Paul Simon-hit. Including the legendary horn shout-chorus. Make sure your drummer checks out Steve Gadds mozambique-groove. 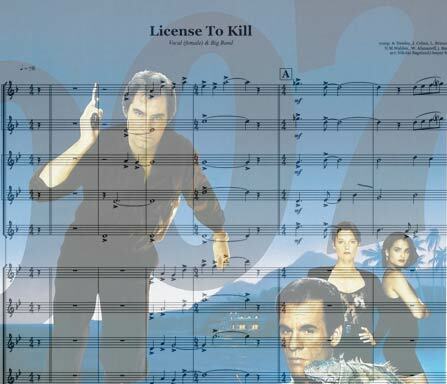 The Theme Song from the James Bond Movie Picture "License To Kill" from 1989. 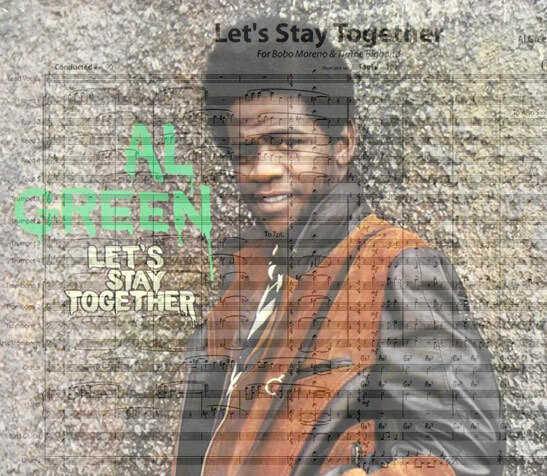 Performed by Gladys Knight the theme song became a worldwide hit. 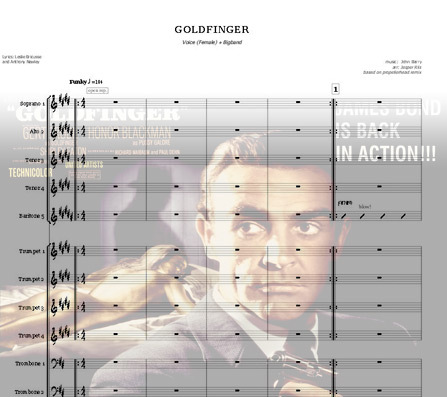 The Hornline is orginally from the first Bond movie "Goldfinger". A perfect chart for your band and vocalist. 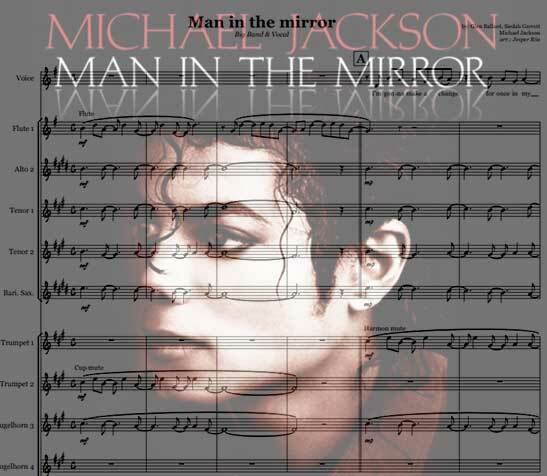 MIchael Jacksons world-hit from "Bad". The arrangement is in the original key (G - modulates to A). Level is between easy and medium. Alto 1 doubles on flute (Alto-sax part without flute is provided). 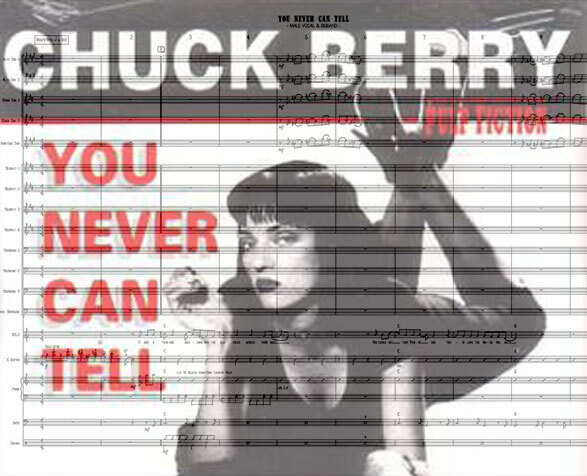 Hit song from the album "Rockferry" by Duffy in a crispy bigband-setting. 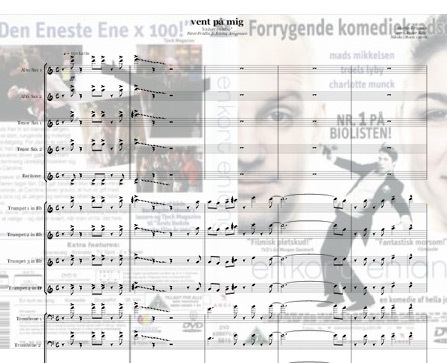 The Danish Radio Bigband commisioned this arrangement for the danish version of X-Factor 2009. "Mr. 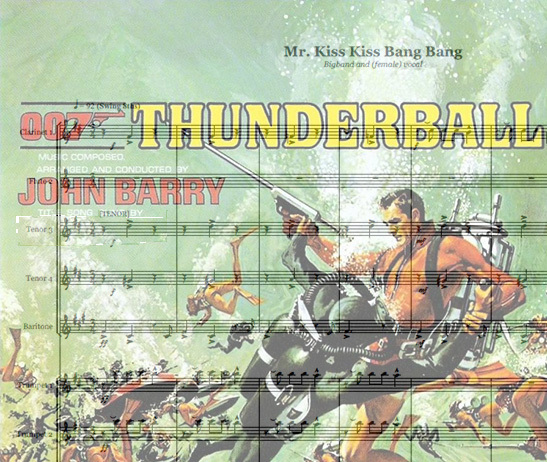 Kiss Bang Bang" was originally written to the James Bond movie picture "Thunderball". 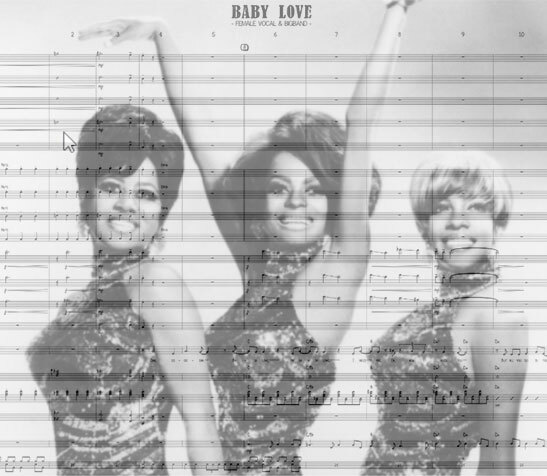 Unforturnately the song were never used due to some problems with Shirley Bassey's vocal. 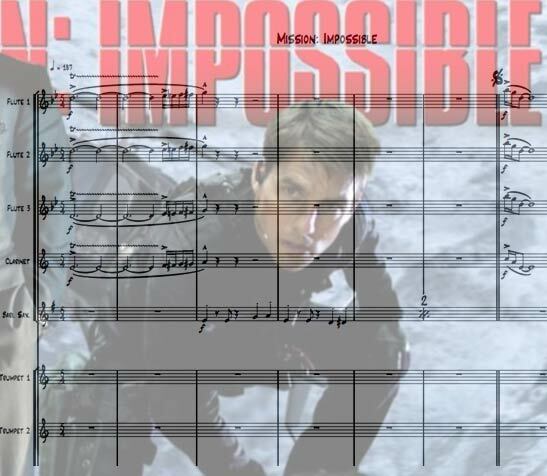 Very close to the release date of the movie, the producers decided to use another song: "Thunderball", that was written in a rush, also By John Barry, a few days earlier. Tom Jones who sung the theme, fainted during the recordings. Read more on wikipedia. 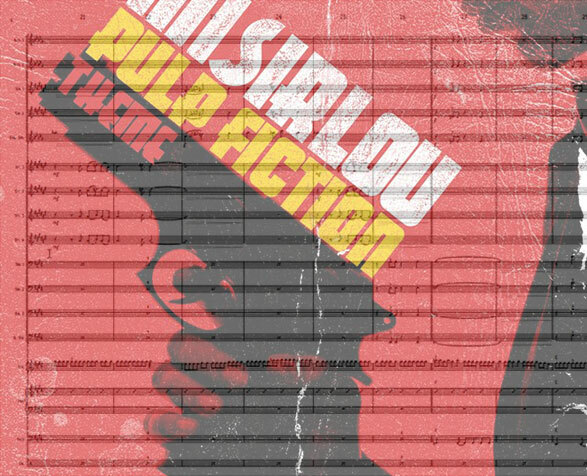 Here you will find a top tuned Big Band arrangement that will make your bands vocalist shine super bright, and bring the audience into a epic agent-bond-60s-movie-mood. From the James Bond movie picture "The Spy Who Loved Me". 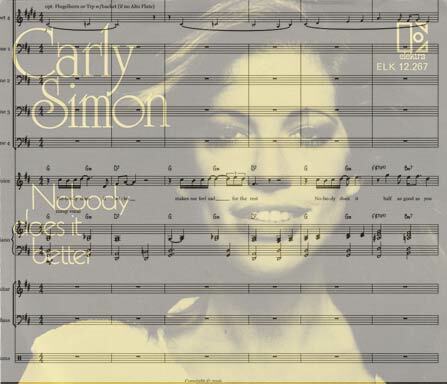 Wonderful version close to the original Carly Simon version. 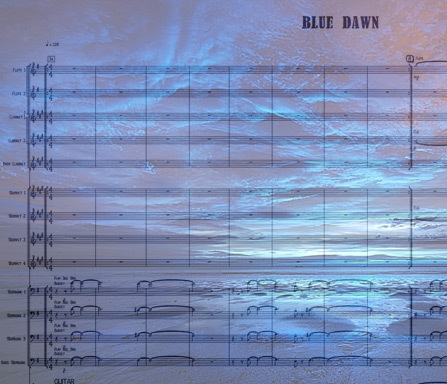 Please listen to the MP3 preview to get an idea how this great arrangement will sound when having your bigband play this chart. Nice, swinging blues (medium tempo) by the danish blues-guitarist Ole Frimer recorded live at the Aarhus Intl. Jazz Festival with Klüvers Bigband feat. Veronica Mortensen, Dave Samuels and Dennis Mackrel. 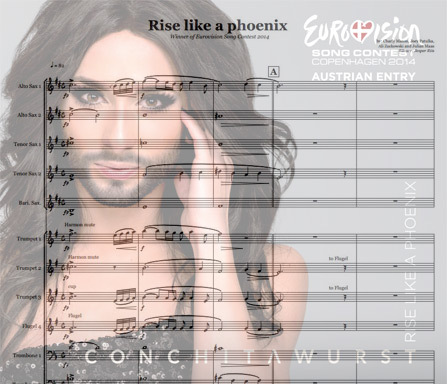 The winner of The Eurovision Song Contest 2014, sung by the austrian singer Conchita Wurst. Another great old christmas hit from the late 50´s - originally recorded by Brenda Lee. 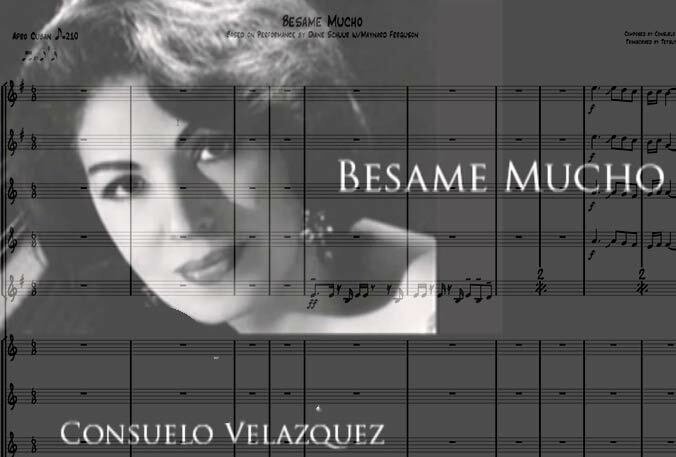 Here in the same style as Lou Bega´s Mambo No. 5. 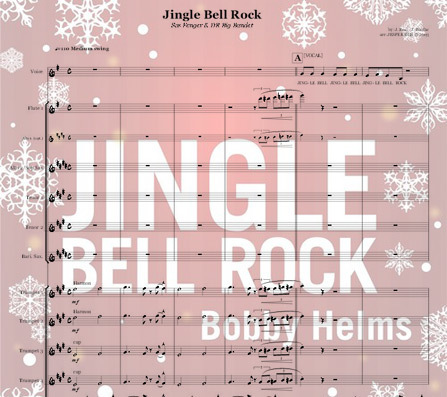 Recorded by Bobo Moreno and DR Big Band on the Merry Christmas, Baby album from 2009. 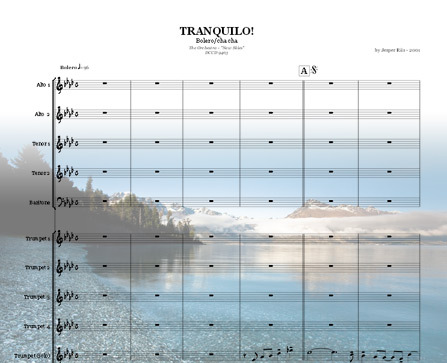 When buying this chart you will also receive a version in the key of A in addition to the original arrangement. 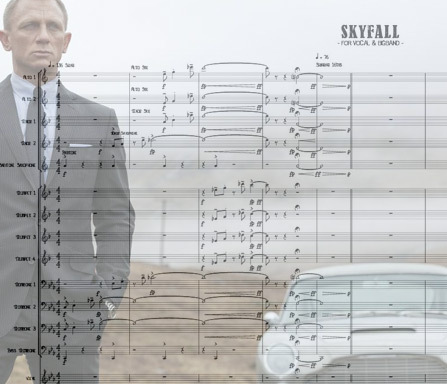 Skyfall - the James Bond movie picture. 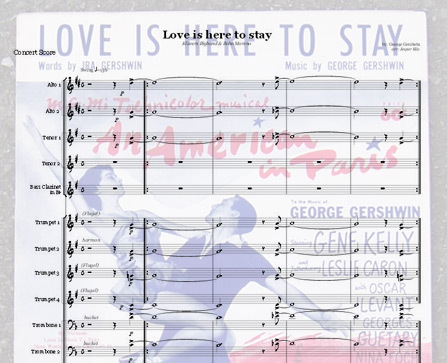 The theme song in a nice not to advanced bigband arrangement. 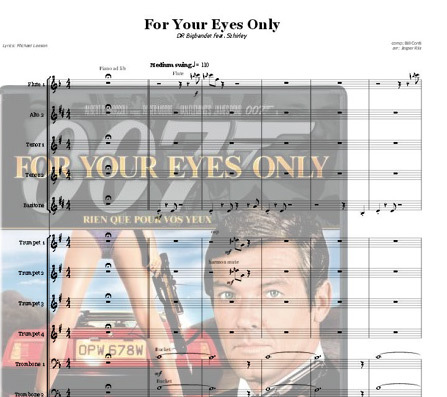 Buy the scores online here. 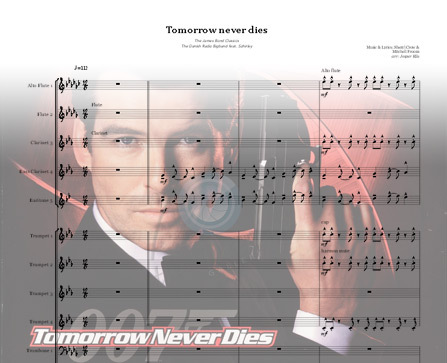 As sung by Adele, but with a Bond-signature at the beginning. 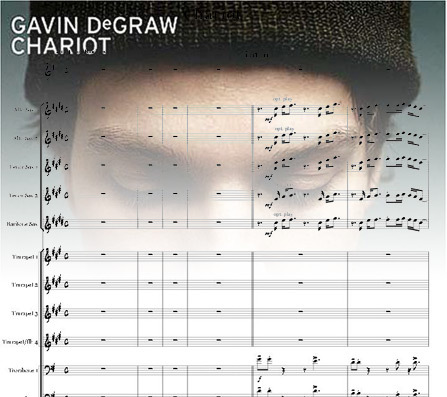 Sax-version without doubles included. One of Queen's innumerous hits. 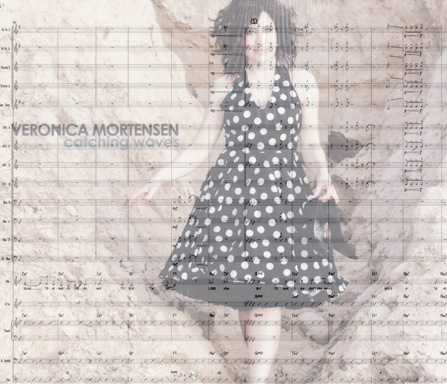 The arrangement was commisioned by The Danish Radio Bigband for a special bigband-night in the danish XFactor. 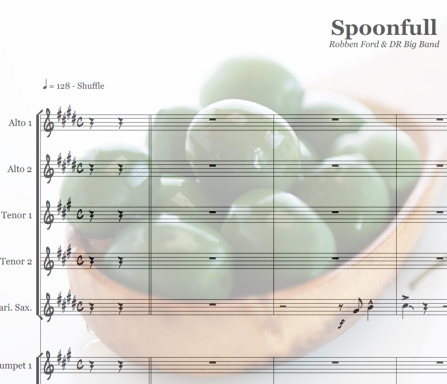 This chart of Willie Dixons "Spoonful" was arranged for the album "When Jazz meets Blues" featuring the great Robben Ford together with the DR Big Band. This arrangement demands a great deal of action from the whole band. 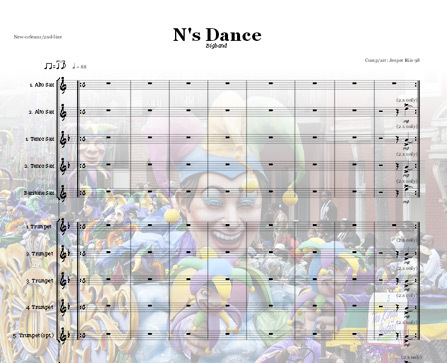 A Funky 2nd-groove in 4/4 and 3/4 tributing "Captain Chaos" from the "Cannonball Run" movie series. Donny Hathaway's motown christmas song. 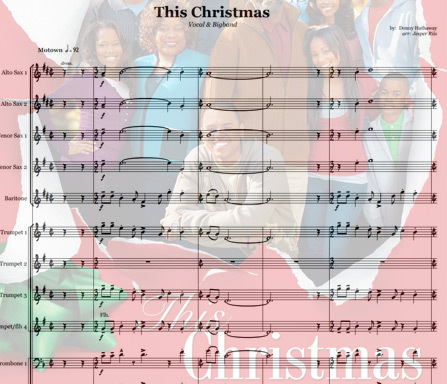 The song is originally from 1970 but in 2007 the song was featured in the movie picture "This Christmas" starring: Delroy Lindo, Idris Elba, Loretta Devine, Chris Brown among others. 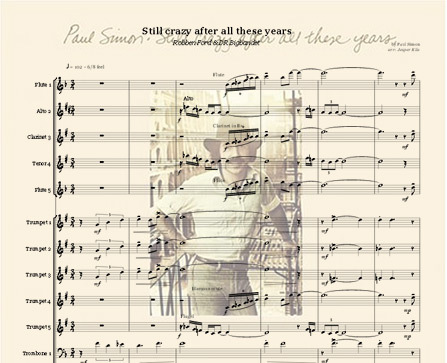 Here you'll find a great Bigband Arrangement of the song. This Christmas in the key of Ab for female vocalist. 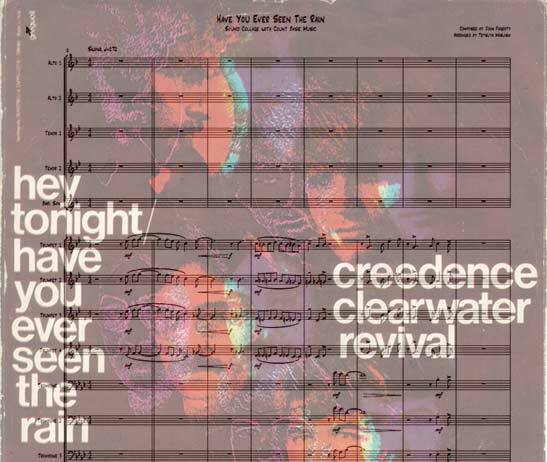 The title-song from the best selling album of all times. 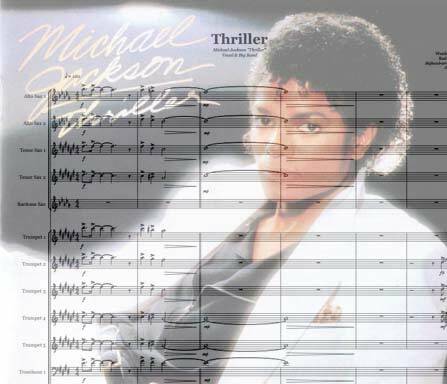 Michael Jacksons "Thriller" in a crisp, fairly easy-to-play vocal/bigband-setting. Britney Spears megahit "Toxic" from her 2004 album In The Zone. 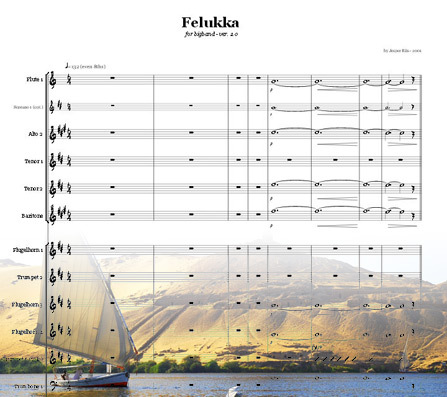 If possible the chart requires a Piccolo-flute player. (Soprano sax-part provided to substitute Picc-part). 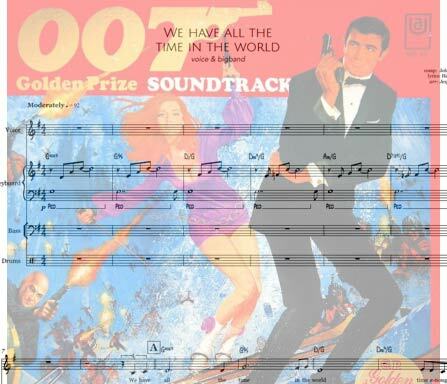 From the James Bond Movie picture "On Her Majesty's Secret Service" Music by John Barry, Lyrics By Hal David and Sung by Loius Armstrong. Here in a fantastic Bigband setting. 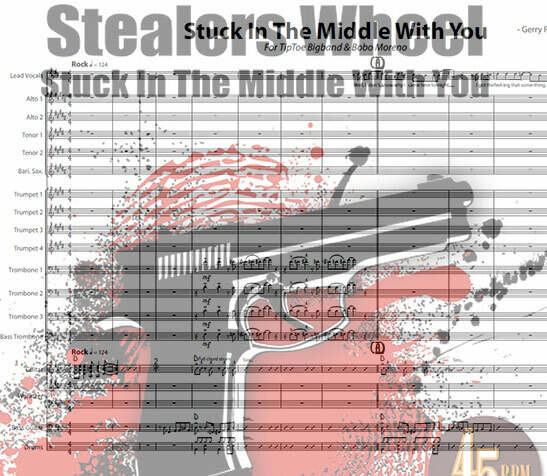 Nice Bigband Arrangement with a lot of good stuff in the woodwind section. Agent 007 and the Japanese secret service ninja force in "You Only Live Twice" the James Bond movie from 1967. 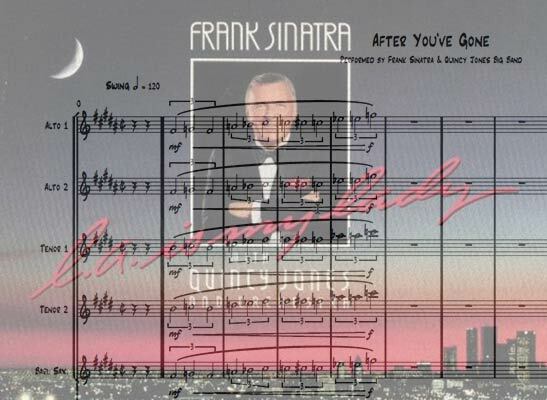 This bigband score featuring the title song as sung by Nancy Sinatra. 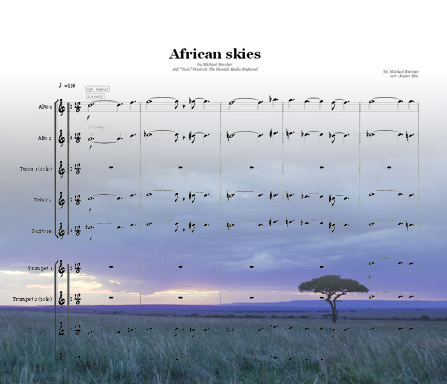 Includes a stunning vocal part, and lot of fun going on in the woodwind section. 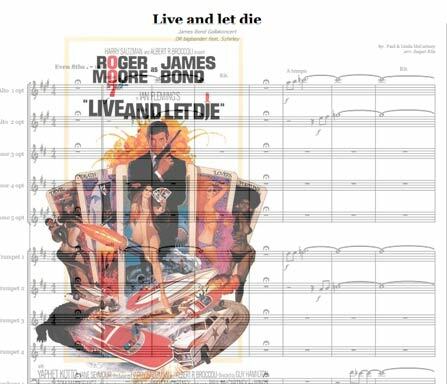 Get the best out of your band with this great Bond Bigband arrangement. 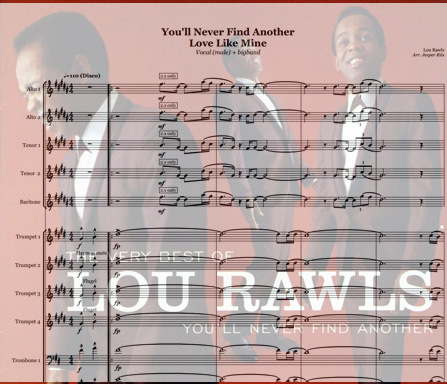 Legendary Lou Rawls disco-hit from the 1976 album "All things in time". 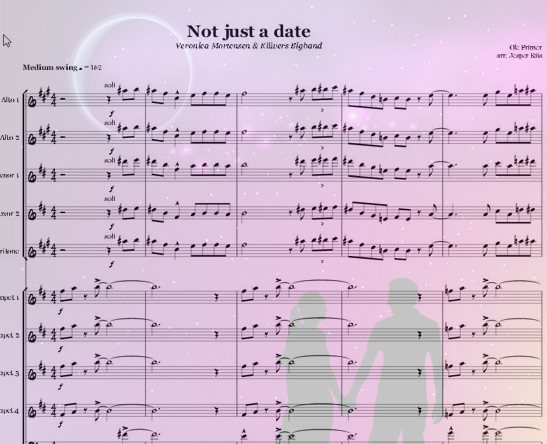 (Vocal-part is not complete - lyrics though, are included).